I have always admired people who knew at a young age what they wanted to do with their lives and then had the single minded focus to achieve it. It blows my mind how someone can spend years and years of their lives in study to become a specialist in their chosen field. I always wonder what happens if you get to end of all that studying and change your mind? Perhaps for someone who is focused and driven to excel in their field that would not be an issue. It would be for me though, I do not possess that kind of mind. I crave input, all sorts of input, on many different subjects. I have a curious mind that wants to know and hands that want to try. Some interests are just that, once I get the concept I am satisfied. Some curiosities drive me to become a master. I may spend a few years perfecting the skill, totally immersing myself until I feel I have a full command of the subject, maybe even gain some notoriety in the field and then I am done and something new catches my fancy. I am not fickle person. In some ways I am steadfast and committed. I have been married to the same wonderful man for 30 years and have lived in the same home for 27 years, hell even my car I’ve owned for almost 12 years. Having stability in my private life affords me the creative energy to explore the outer world. Once I did one of those tests designed to give you a better perspective of your personality type in order to find your perfect career. One of the results was that I like to collect information so I am prepared to make sound decisions. An admirable managerial skill. What I really learned about myself was that I really just like to collect random information. I love trivia, I stay current on world news, history fascinates me but so does new technology, I have a journal full of quotes and interesting ideas ripped out of magazines, in fact their are few subjects that won’t hold my interest. I could not just pick one subject to devote my life to, I want to explore and learn about too many things. 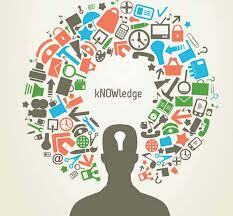 So I collect random bits of knowledge until the next big interest hits me. Then off I go consuming as much as I can about the subject or perfecting the skill as best I can until my curiosity is sated. I use to think that there was something wrong with me. How come all my friends knew what they wanted to be when they grew up? I got tired of telling friends that, no, I’m not in that job any more, I’m now doing this….. I felt like I was somehow a failure because I tired of jobs easily when in fact I had learned all there was for me to know and needed another challenge. Modern society is too rigid. It celebrates only those single minded souls who spend their career life on only one cause. As I said before, I too admire their focus and drive. But what about the quirky creative type? Bless the bohemian minded for they see life from a wider angle and aren’t afraid to ask the off the wall questions that can affect real change. Our diverse, random knowledge just might have that missing thread to a great discovery. Diversity is the key. There is room enough in this world for all of us. Once I figured that out and to judge my life successes against my own standards and not what I thought other thought about me, my guilt subsided and I felt even freer to explore, create, and to learn whatever struck my fancy, then add the results to my catalogue of random facts in my brain. I collect knowledge, that’s what drives me. If my brain were a computer, when I die I would want my RAM to be maxed out and my hard drive full. Too bad I don’t have the ability to download everything I’ve learned over my life time onto an external drive for future generations. I guess I’ll just have to pick and chose random stuff and write it down here on my blog instead.